This year, MPavilion is proud to partner with Bakehouse Studios to open up Rem Koolhaas and David Gianotten of OMA’s amphitheatre-style structure to some of the most exciting emerging and established musical acts in Bakehouse’s little black book. Between October 2017 and February 2018, MPavilion will periodically transform into an extension of Bakehouse’s iconic studios, bringing a series of public rehearsals and secret shows to the Queen Victoria Gardens in the heart of Melbourne’s CBD. Visitors to MPavilion will be treated to a special behind-the-scenes look at the construction of songs, the pre-production process for a recording or a full-blown dress rehearsal. Stay tuned for full line-up announcements, released only a few days prior to each event. Joining us for this Monday arvo secret rehearsal is sound and installation artist, musician, composer and producer D.A.Calf. 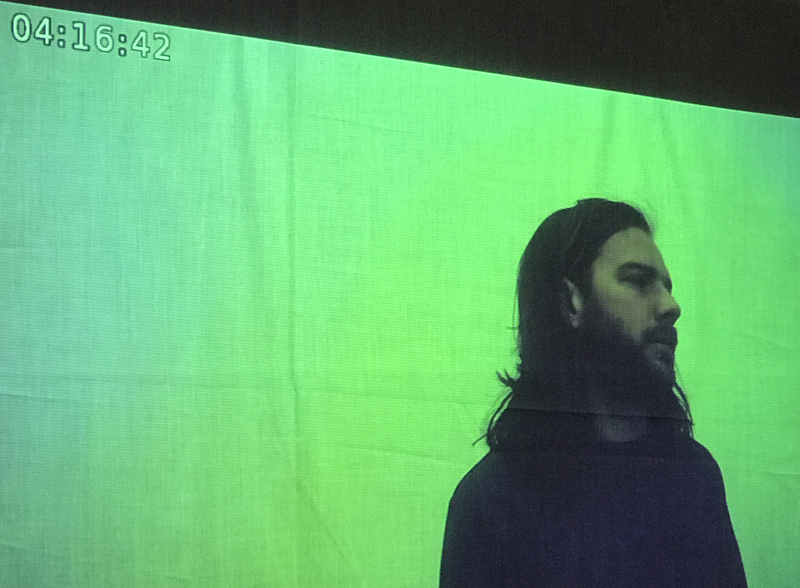 D.A.Calf’s work is wide-ranging, having presented durational audio and video works in a gallery context, produced immersive theatre for Melbourne Festival, created interactive installations in hearses for Dark Mofo, and a sound suite in a live electrical substation for Melbourne Music Week. As well has having released albums as The Book of Ships, D.A.Calf also moonlights for local acts Near Myth, Mike Noga, The General Assembly, Low Talk, and more. 2018 sees D.A. Calf presenting solo sound work again, with a number of releases scheduled for the year. In this special secret rehearsal at MPavilion, he’ll be joined by past collaborators Paul Raine and Joe Salvati. They have not rehearsed, and the set will be completely improvised. Their brief is precisely three adjectives long.